Posted by August 15, 2016 Comments Off on Do you have Effective Marketing Material? As present-day healthcare delivery has reinvented itself, nearly every practitioner and health practice has, in one form or another, a stash of marketing materials. There’s too much competition among practitioners and their clinics, to be without marketing materials that hopefully gets results. Practitioners and their clinics all have specific practice & business goals. There are dozens of forms of materials available to achieve these goals. Outdoor advertising via signage, either A-Frames, front window banners, etc. Print ads for newspaper or magazines, even letter box drops, etc. Every practice owner wants to push to the top of the ladder and utilise communications resources that successfully market to patients and generate new revenue. There is a fundamental framework that supports virtually all practitioner marketing materials. Definition of purpose: What is the objective; what is the marketing material intended to achieve? Primary audience benefit: How are you answering a problem or need of the patient? What is the unique value that you deliver to them? Target audience identification: Precisely and specifically, whom do you want to reach? Response channel: What do you want the audience to do? What response do you want? 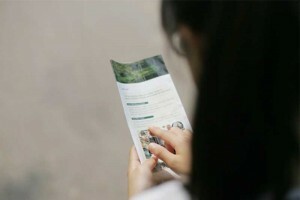 Brand consistency: How does this marketing material help express your branding message? Here’s what we’ve got. Powerful advertising will laser-focus on a single idea, service or value. Keep it brief and on-target to avoid clutter, confusion or distraction. Here’s what it will do for you. Patients don’t care about you or, for that matter, your product or service. Universally, what appeals to them is “what’s in it for them.” Communicate this in understandable, non-technical, “people speak” language. Here’s how to get it. Powerful marketing materials inspire interest and evoke action. Provide a clear Call-to-Action that directs the next step to acquire the desired benefit. Command attention. Effective marketing materials engage the individual with a strong idea. Their involvement, or mental investment, makes it memorable and actionable. Conversely, marketing materials that never get noticed are guaranteed to produce no results or response. Honesty and believability. Healthcare practice audiences want reliable and authoritative information and resources. Play to the strengths behind authoritative and reliable information. Lastly, you are not the audience. Avoid the classic mistake of thinking that what you like is right for your audience. By definition, the provider/practice owner or staff of the practice is not the patient or potential new patient. An independent perspective is often a better judge, and Ideal Practice would be pleased to assist.